$20/player for your first division. $5/player per division after that. Register online now. CLICK HERE. Read more and download a registration form HERE. 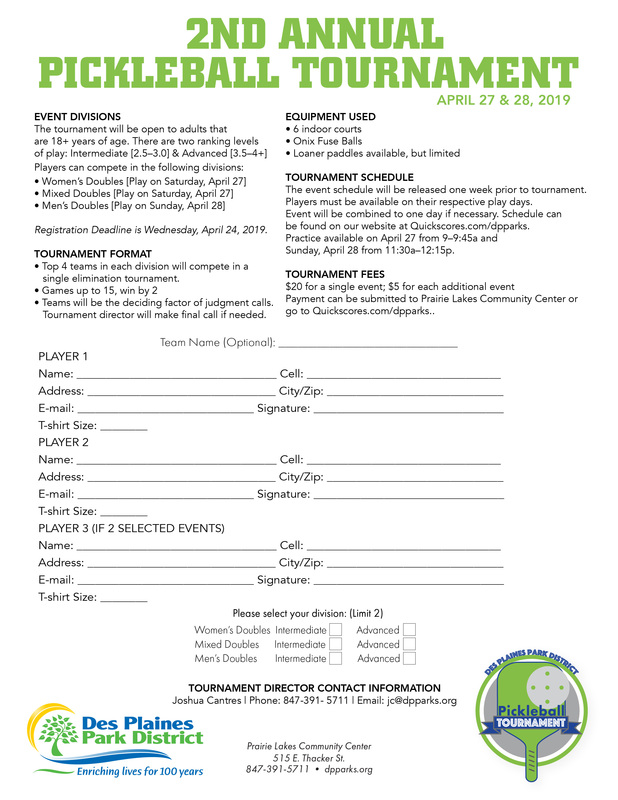 Team up with a partner and showcase your skills at our 2nd annual pickleball tournament. • A few loaner paddles are available. It’s best to bring your own.